There are many excellent works that explain a Christian worldview and there are dozens of excellent introductory psychology texts. 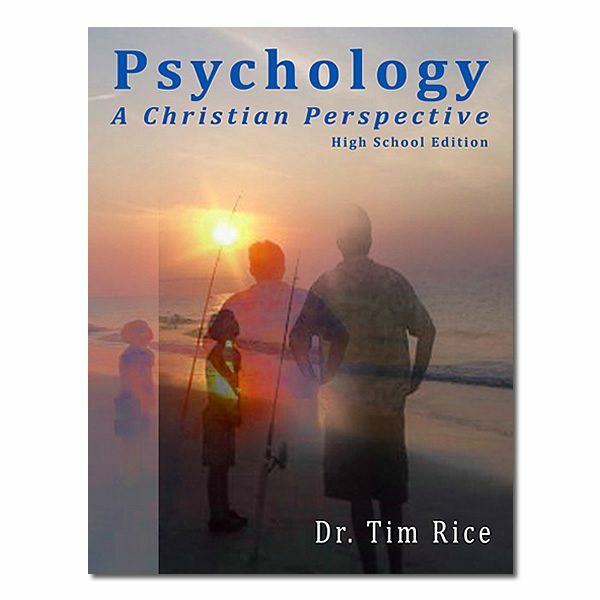 Psychology: A Christian Perspective, High School Edition resents psychology’s content from a distinctly Christian perspective. It is intended for Christian high school students to introduce them to psychology’s content and to prepare them for the way psychology is taught in colleges today. Psychology: A Christian Perspective is intended for Christian Schools and Co-ops – with a Teacher. There’s no pre-packaged student workbook, there is however a Teachers’ Guide with reproducible items, quiz questions, essay ideas, discussions, and opportunities for further study. Multi-copy discounts available.